Taken outside of San Francisco in July 1959 on the way to Muir Woods National Monument. Please comment below if you know what make model these vehicles are. 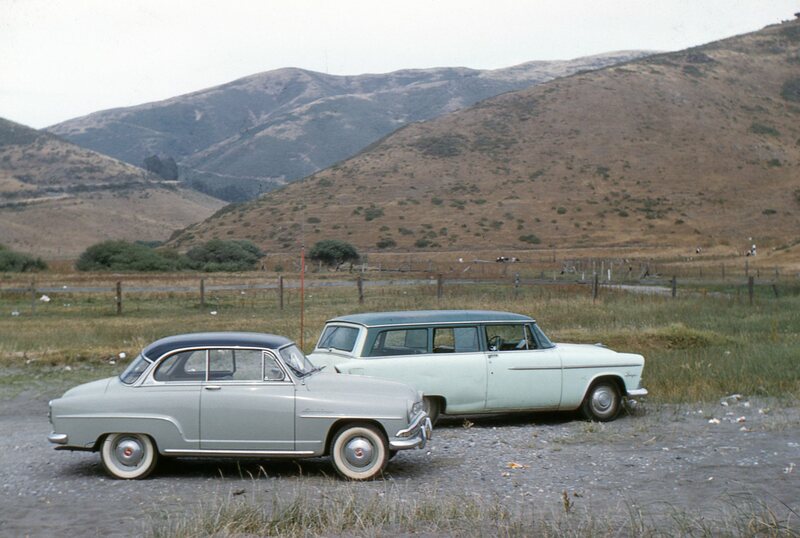 *update* – the car in front is a French made Simca Aronde. It was not sold in the US, so it was shipped over. The car in the back is a 1955 Plymouth Plaza station wagon.